April 20th, 2016 | Children & Pets, Moving Tips. 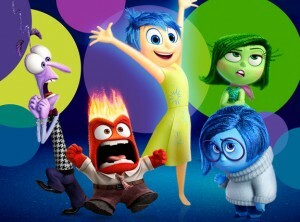 In the Disney/Pixar movie “Inside Out,” an eleven-year-old girl named Riley moves across the country with her parents. At first, she sees the move as an exciting adventure, but she soon realizes how much she misses her friends and her life back home. While she’s normally happy and bubbly, she starts to feel depressed and angry. Moving is hard for anyone, no matter their age. But moving can be especially difficult for children. As an adult, you’ve likely moved a few times before and you have a better idea of what to expect. Children may have never experienced a move before. They’re used to a certain routine, and moving disrupts this routine and may throw their emotions for a loop. Fortunately, there are ways to make moving easier emotionally on your kids. Here are a few suggestions. When you talk to your child about your new place, show them pictures of it. If you’re not moving too far away, take a trip with them to your new city. Talk to your kids about the potential emotional impacts of moving as well. You can share your past experiences with moving and how you felt. Assure them that while they might feel sad at first, they will feel better once they meet people and get used to their new area. But don’t just talk to your kids once and let it go. Leave the lines of communication open. Ask your kids every few days how they’re feeling. Make yourself available to answer any of their questions. Don’t get so overwhelmed with moving tasks that you aren’t sensitive to their feelings. If you involve your kids in the moving process, they’ll feel like a part of the decision. This will make the transition easier for them. If possible, bring your children house shopping and ask for their input. When you decide on a house, let each child choose which bedroom he or she wants. Let him or her take ownership in decorating and setting up his or her new room. As you pack, have your kids pack their own bedrooms. Let them decide what to give away and what to keep. Even little choices can help your children feel more comfortable and independent. Even the youngest children can decide what entertainment to bring for the move. Watch or read with your kids and talk to them about their feelings afterwards. You probably feel unsettled about moving too. But if you let your kids hear you complain about the upcoming move, they’ll likely adopt the same feelings. Instead, talk positively about the move. Tell your kids about all the things they can look forward to, such as the fun things to do and see in the new city. Like Riley in “Inside Out,” your kids might have a hard time moving at first. But like Riley does in the end, your kids can learn to love their new place. Follow these tips and make the move easier for both you and your kids.